On the 2nd of February, a tour of the Dulwich Gallery most famous paintings with an experienced guide giving a talk, followed by refreshments in the Linbury room. Meet us at 1.45 PM at the main entrance. Don’t be late. First come , first served. 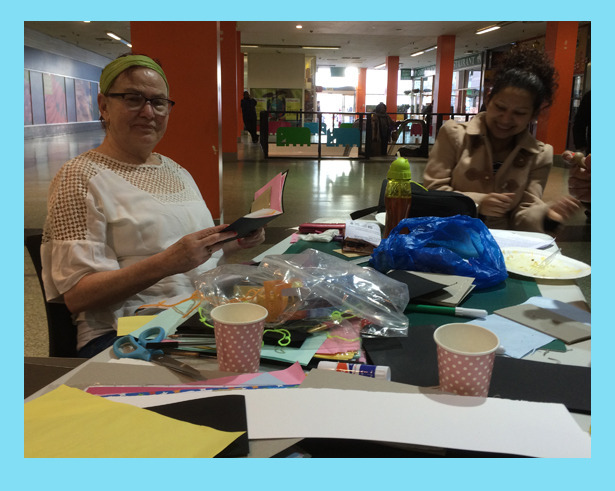 As Elephant &Castle undergoes a period of significant redevelopment, The People ‘s Bureau, Siobhan Davies Dance, Entelechy Arts are working together with day centres, care homes and community groups in southwark to collate memories and stories. 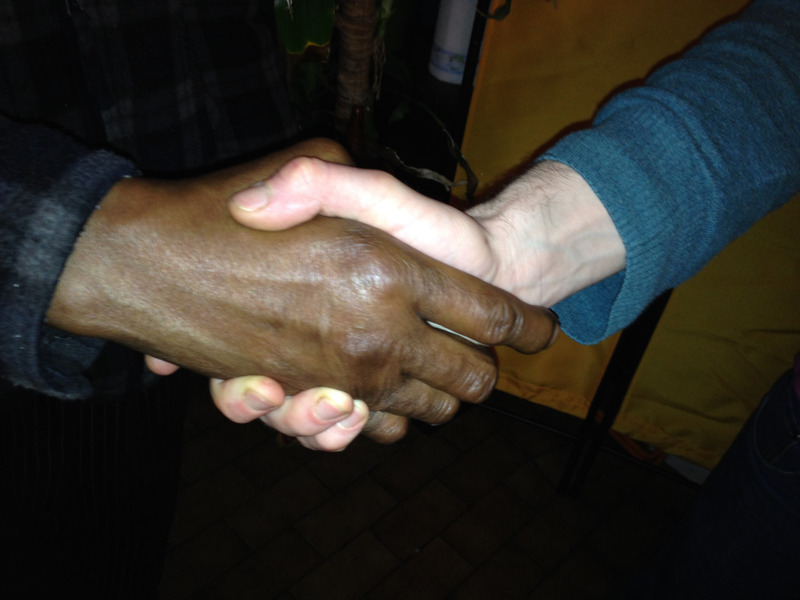 Time4Southwark appreciates their initiative and support them by developing skills exchange workshops with them once invited. 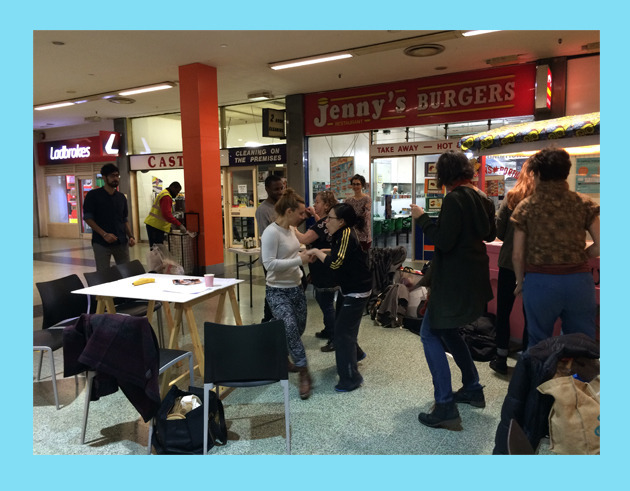 This monday 25th January, a lot was going on at Elephant ands Castle shopping Centre, dance performances with the free spirited dancers from Entelechy, Yelitza showing how to make beautiful decorations, Luz for reflexology, Rebecca for linoprinting. 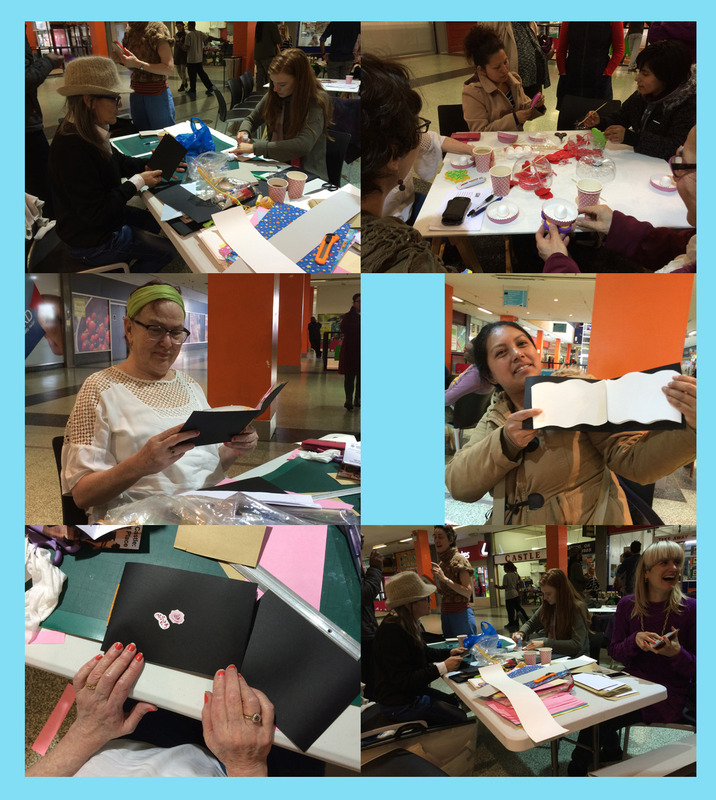 For this specific situation, I decided to cisel a sketchbook making workshop as people could draw or write some memories about the Elephant&Castle shoppping Centre. Buying sketchbooks is fine, but they can be anonymous and expensive. 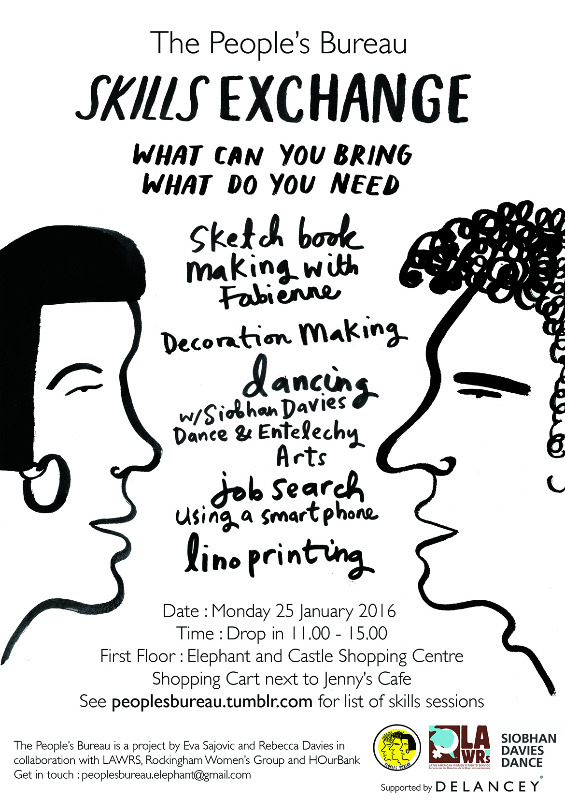 Making your own sketchbooks is a great opportunity to get the creative juices flowing. There are so many ways to make a sketchbook . You just need some process, tips and advice, some sense of control, decision making and creativity! As a result each created sketchbook has a tangible personality due to the person who made it. That’s the joy. Making a sketchbook allows you to be adventurous.